Occupational Therapy maximizes health, well-being, and quality of life for all people, populations, and communities through effective solutions that facilitate participation in everyday living. AKOTA in 2016 made a commitment to 'Go Paperless' for storage & communication of information in electronic form for a huge money saver and to aid open initiatives! 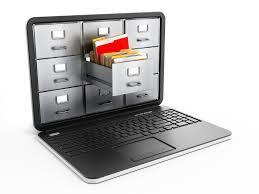 2018 AKOTA is now paperless with all Archives stored digitally! No More Boxes of Endless Paper! © Copyright 2016, AKOTA. All rights reserved.